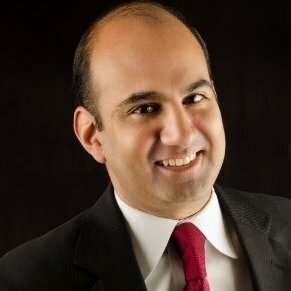 Rehan Alimohammad is a Partner in the national firm of Wong Fleming in the Sugar Land, Texas office in charge of Immigration Law, and Tax Law. He is a CPA since 1999 and Attorney since 2001 and was listed as one of the Top Attorneys in Houston, Texas by Houstonia Magazine from 2013-2015, has a 10.0 Superb rating on AVVO, and an AV rating on Martindale Hubbell. He also was named one of the Five Outstanding Young Texans by the Texas Junior Chamber of Commerce in 2011 for outstanding legal pro bono service. He is currently Chairman of the Board for the Fort Bend Chamber of Commerce and Immediate Past Chair of the Board for the State Bar of Texas (1st Asian to hold this position); member of the Executive Committee and Past Minority Director of the State Bar of Texas; Legal Counsel, Board Member, member of the Diversity Action Team for the Fort Bend Chamber of Commerce; Board member for the Katy Bar Association and the Houston Bar Association; on the Leadership Task Force for the Katy Economic Development Council; Co-chair for Houston Bar Association’s Minority Opportunities in the Legal Profession committee; and on the Steering Committee for the Texas Minority Counsel Program and Texas Minority Attorney Program. He also serves on the advocacy committee for NAMWOLF (National Association of Minority and Women Owned Law Firms).